From the navigation bar, click Schedules. The Schedules page displays a list of schedules. 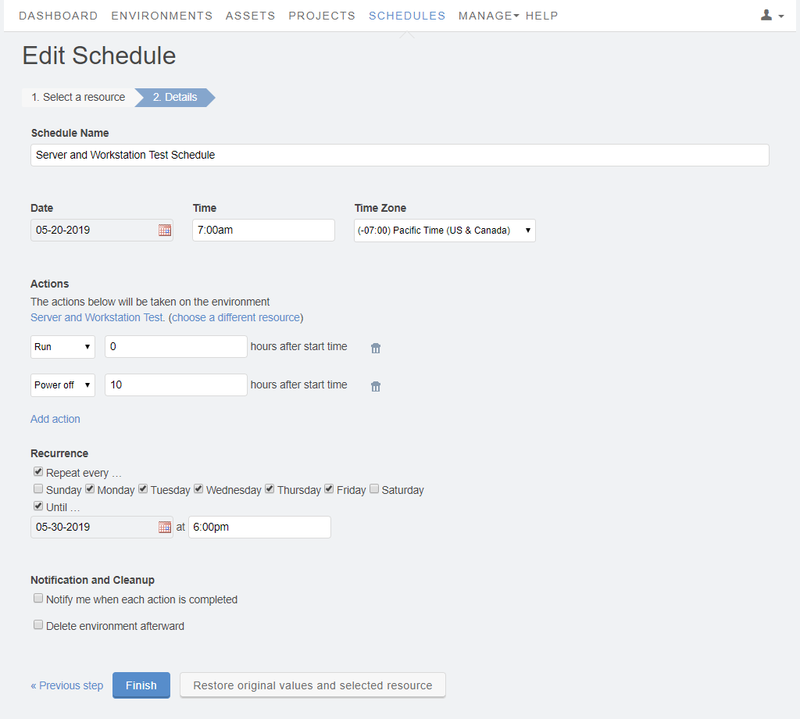 (Optional) Use the filter and sort options to help locate the schedule you want to edit. Click My to see all of the schedules you own. Click Company to see all of the schedules in the account (this tab is available only to administrators). Click the name of the schedule to edit it. The Edit Schedule page opens, where you can change any of the settings. For more information about each setting, see the Adding a new schedule to an environment or template instructions.